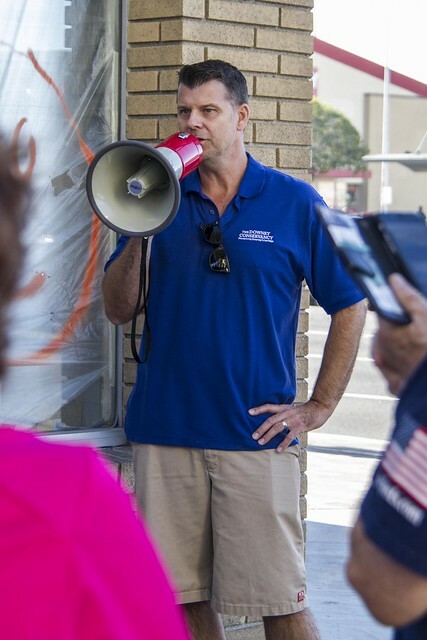 Today George Redfox of the Downey Conservancy led a walking tour of downtown Downey. What a treat. 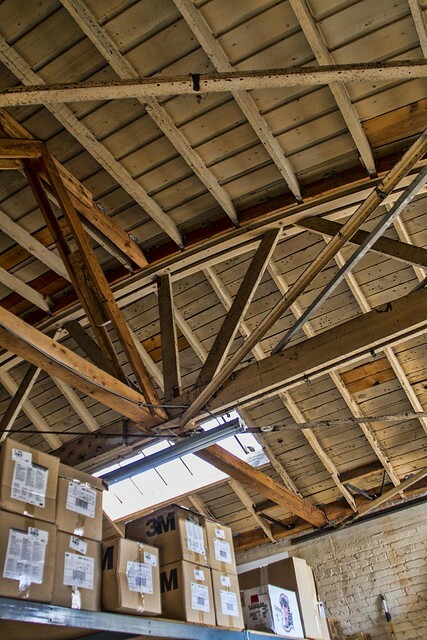 As we passed by one of the old shops that now houses Palardy and Miller Auto Paint Supply, one of the workers saw our tour group (of almost 20 people) and invited us to come into the shop and see what the rest of the original building looked like. 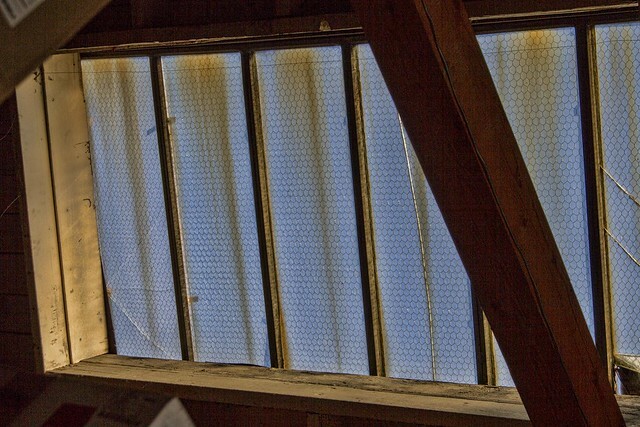 The old skylight and windows looked like there was chicken wire inside them, and all of them were still intact—the original windows from the 1920s. 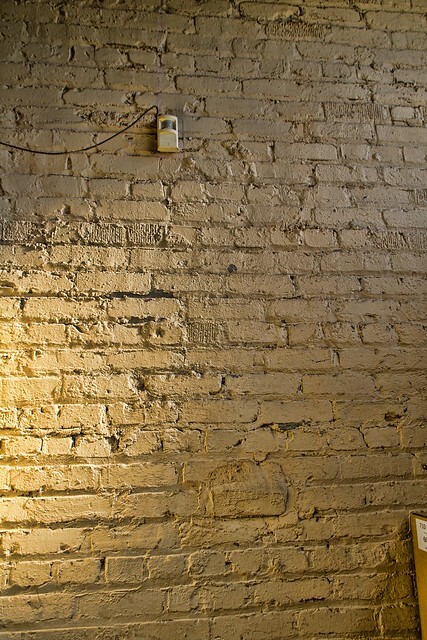 I loved the painted original brick wall that was an adjoining wall for the next business.